I was surfing traffic exchanges in order to get credits to show PTP (paid to promote) pages and earn some money. After a while I just got bored to click captchas and I tried to find a way to get more out of my clicks. "I wanted to get more hits on my PTP page for the time I spent clicking traffic exchanges"
This is how I started to develop the traffic spinning top. The aim of it was to get as much as possible out of my time clicking traffic exchanges. Thanks to the traffic spinning top, I get now about 800% more income from PTP pages with the same amount of invested time! What is the traffic spinning top? It is a strategy that I use to increase my output from my time surfing traffic exchanges by up to 8 times. By enrolling you get immediate access to an online course that explains you the strategy in detail and how to apply it. With the traffic spinning top you will just surf faster and get much more hits to the website you promote for the same amount of clicks on traffic exchanges. "I started to surf with a ratio of 3:1, so I could show my PTP page 0.3 times for every time I watched a page on a TE. With the Traffic spinning top, I get up to 3 hits on my PTP page per page I surf !" 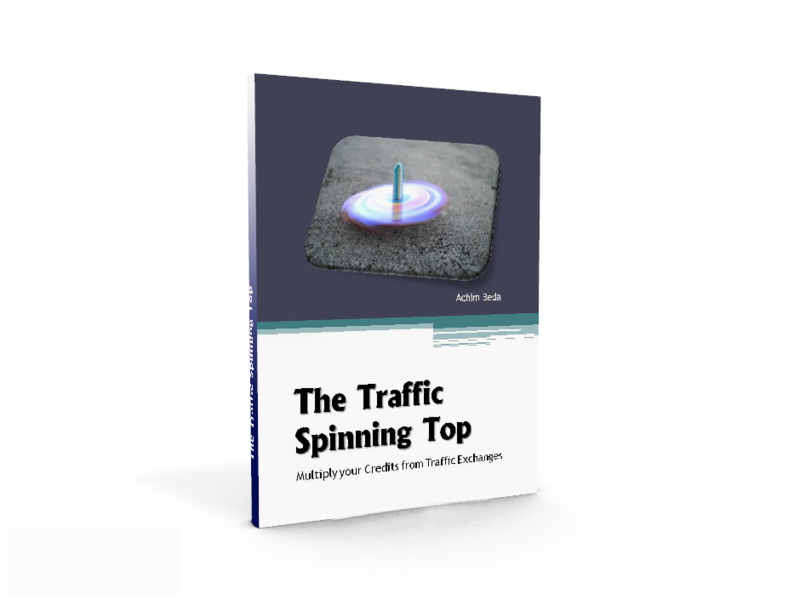 I developed two versions of the traffic spinning top that I will present in this course. A simple version for any link that allows you to get up to 2 hits per page you visit and a version for websites where you have access to the source code with which I get up to 4 hits for every page I surf on a traffic exchange. If you have your own website, you can promote almost any page or service using the extreme version of the traffic spinning top. 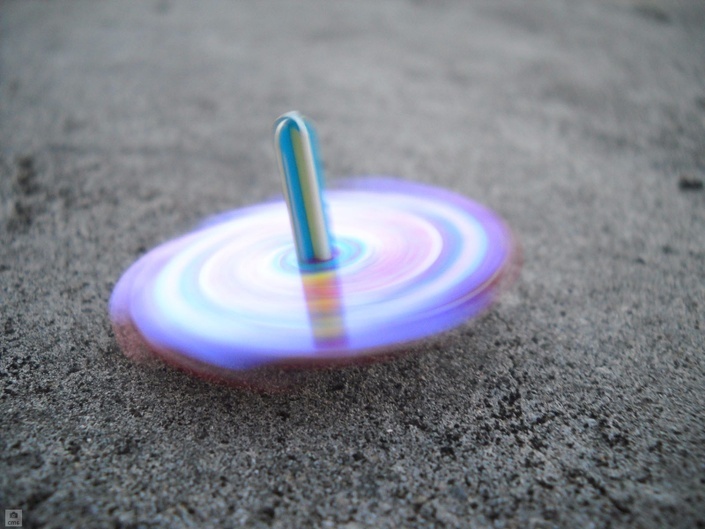 "With a spinning top you give a first impulse to start its rotation and then it turns and turns. For the traffic spinning top it is the same principle. You give it a strong first impulse and then it just produces traffic till the impulse is completely used"
Imagine how much time you can save when you get about 3 times more hits on your website than before and how much more income this represents? Do not hesitate and take this opportunity to get immediate access to the traffic spinning top for as little as 6$ ! One day using the extreme version of the traffic spinning top, I visited 300 pages on traffic exchanges and got 1800 hits on my websites ! This course is mainly for people who want to promote a website in traffic exchanges and want to get much better results for the same invested time. Does the traffic spinning top work for any page? Yes, you can promote any page you want with the traffic spinning top. However for the extreme version, you will need to be able to change the source code of the website you want to promote. If you have your own website, you can use the extreme version of the traffic spinning top to promote any website you want. I will show you how. Please understand that we cannot guarantee any results since they always depend on the services that we are using. But let's take an example of how you can improve the output of your surfing time: If you surf 1 hour with the leading traffic exchange EasyHits4U, you might get 180 credits and 180 hits to the website you want to promote. Using the knowledge from the traffic spinning top, you will get up to 1000 credits in the same amount of time and you can get up to 3000 hits to the website you promote! Do I need to upgrade or invest to succeed? No, that is the great thing about this concept. You will not need to invest or upgrade anywhere. You do not need to get referrals either to get the results. No, it is not necessary that you have coding knowledge to apply this system. I will provide some html code and you will simply have to copy and paste it.